Welding poses unique dangers to construction workers in The Bronx. Because the welding process produces UV radiation and intense light, it can cause skin and eye damage. The fire and heat involved can result in severe burns in a welding accident. If you have been injured in a welding accident, either as a welder or as a construction worker injured in a welding-related accident, contact The Bronx welding accident attorneys of The Orlow Firm. Our legal team has handled numerous construction accident legal claims during 30 years in practice and has helped clients across New York City and beyond receive maximum compensation for their injuries. For experienced and caring legal help in pursuing a claim for welding accidents and injuries, contact The Bronx welding accident attorneys of The Orlow Firm for a no-charge consultation. Call (646) 647-3398 or send us a message online. 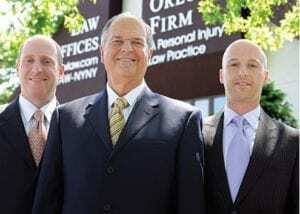 Our three lawyers have represented thousands of people in personal injury and wrongful death cases in The Bronx. In cases where negligent third parties caused dangerous conditions, we can aggressively pursue compensation from both private insurers. At our law firm, you will always work with a named partner. We believe our clients should not accept anything less than the personal attention they deserve from attorneys who will work to maximize the damages in their case. For more information regarding our firm and your rights, contact the Bronx welding accident attorneys of The Orlow Firm. We offer free initial consultations and operate four offices across New York City for your convenience. We can go to you if you cannot come to us.